The year is ending and man was it a wild ride. We saw tons of amazing fights that featured “WTF!” moments. There were upsets and rivalries and who can forget all of the drama (in and out of the cage). Some fighters hung up their gloves and others decided to put theirs back on. Yes, the year was not kind to the UFC middleweight king. Silva, who many regard as one of if not the greatest fighter of all time, went into 2013 still the middleweight champion and riding a 16 fight win streak with 10 title defenses. Silva faced off against title challenger Chris Weidman on July 6, 2013 at UFC 147. Although many saw Weidman as tough test for the champ, few expected the fight to end how it did. Silva, while performing his usual octagon antics, was knocked out by Weidman in the second round. The unbeatable had been beaten and the middleweight king lost his crown. It made sense that a rematch would take place. 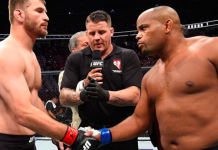 You might say Silva had earned it, being so dominant for so long, and of course there was the question of what would have happened if Silva hadn’t been dancing all over the place. For Weidman it was a chance to silence the doubters, for Silva it was a chance to reclaim his place at the top. 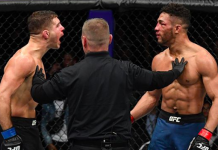 If the first fight ended in a way few predicted, then it’s safe to say that the ending of the rematch was one that NOBODY predicted. The first round was dominated by Weidman, who dropped Silva and landed some big punches while in his guard. 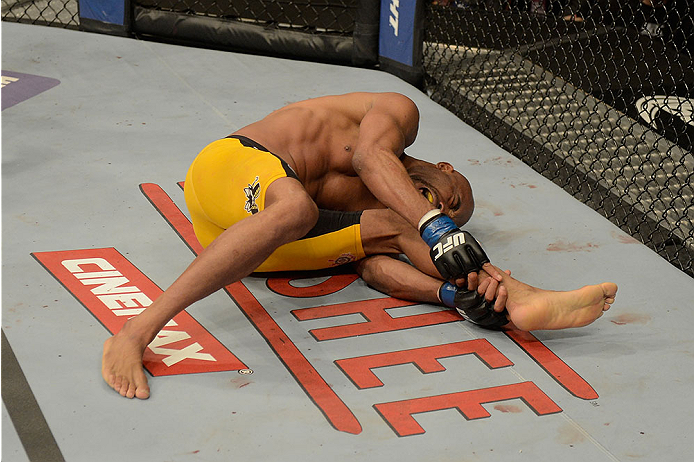 The second round came and that’s when things went from bad to horrible for Silva. Silva threw a leg kick that was checked by Weidman. 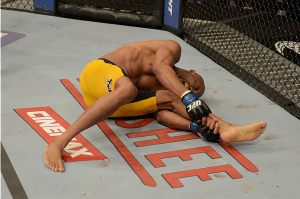 Silva immediately fell to the mat in obvious pain and the fight was stopped. The replay confirmed that Silva’s leg snapped. Silva was rushed to the hospital for immediate surgery. Silva’s surgery was successful and he is expected to be out of commission for 3 to 6 months. It’s unknown what the future will hold for “The Spider”, will he retire or attempt a comeback? The answer is likely to come next year, so stay tuned for the latest on Silva’s future. Back in March it was announced by the UFC that their popular competition show, “The Ultimate Fighter”, would undergo some drastic changes for it’s 18th season. The season would be the first to be coached by women and also feature a roster of men and women fighters. TUF: Rousey vs. Tate helped to showcase wmma and brought us all into a very interesting and heated rivalry between women’s Bantamweight Champion Ronda Rousey and Miesha Tate. It was also surprising to see how the show has effected the images of the two coaches. Rousey came off as a very intense and some might say rude personality when it came to her interacting with Tate. It was evident in the crowds boo’s during Rousey’s post fight octagon interview with Joe Rogan, following her submission win over Tate at UFC 168. Rousey continues to seem unfazed by the fans reaction, apparently she’s fine with playing the bad guy/girl. Rousey has already booked her next title defense. On February 22, 2014 Rousey will fight fellow Olympic Medalist Sara McMann at UFC 170. With there sure to be plenty of press for the fight, it will be interesting to see how Rousey carries herself when not fighting someone names Miesha Tate. Oh Georges. In March GSP defeated fellow welterweight Nick Diaz via unanimous decision to retain his title. The champ’s next fight was in November, where he fought number one contender Johny Hendricks. St-Pierre won the fight via a very controversial split decision. During his interview with Joe Rogan, St-Pierre gave a confusing speech about how he was leaving the sport to take time off and that he had personal issues he needed to take care of. The same things were said at the post fight press conference. Fans were left shocked and confused. Dana White was saying that he talked to GSP and didn’t think he was going to retire and that he was already expecting there to be a rematch between St-Pierre and Hendricks. Then rumor after rumor began to surface about why he needed the time off. We had babies and dying family members and major lawsuits, oh my. It got really crazy. 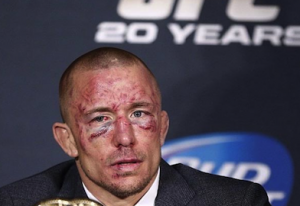 Then on December 13 GSP came out and officially announced that he was vacating his title and leaving the sport. He did not rule out a return and we all know a lot of athletes have a hard time staying gone. 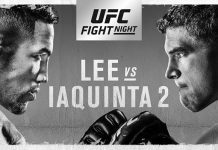 In the meantime the welterweight division is free to move on with out it’s long time champion and Hendricks will get another shot at the title when he fights Robbie Lawler on March 15, 2014 at UFC 171. The UFC announced that it would be adding a new weight class to the women’s division. The new strawweight fighters will be competing at 115 lbs. It was then announced that the first UFC Women’s Strawweight champion would be the winner of season 20 of “The Ultimate Fighter”. There will be 16 fighters competing for the title, with 11 of those fighters already named. The 11 fighters were a part of a contract transferring between Invicta FC and the UFC. The Ultimate Fighter 20 will began filming in May, 2014. 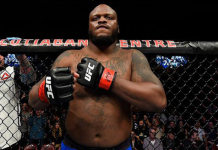 Unlike every other season, which featured fighters competing for a UFC contract, this season will have experienced fighters trying to get a championship title. It’s safe to say that things might get pretty intense. 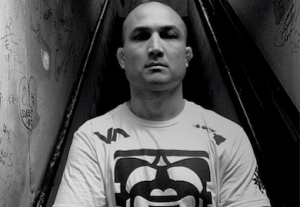 Yes, BJ “The Prodigy” Penn is back. In December of 2012 Penn fought top welterweight Rory MacDonald. He lost via unanimous decision and after that it was unknown whether Penn would step inside the octagon again. Flash forward to September 2013, when it was announced that Penn would return to coach the 19th season of The Ultimate Fighter. He will be coaching opposite of Frankie Edgar and making the move to Featherweight to fight Edgar for the third time in the Summer of 2014. 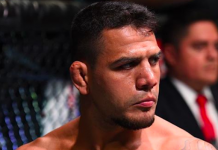 Penn has returned to Nova Uniao and coach Andre Pederneiras, which is where he earned his black belt in jiu-jitsu, to train for his bout against Edgar. Will 2014 be a good year for Penn? I guess we will all have to wait and find out. Like always, check back with BJPENN.COM for the latest in MMA news.